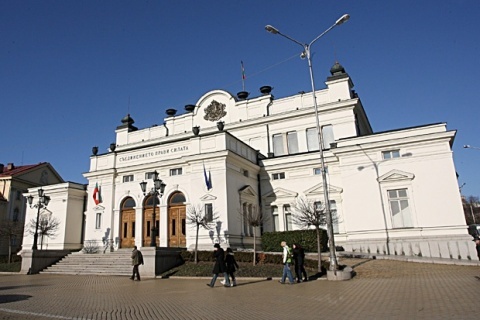 The Bulgarian Parliament approved Tuesday the country's new Cabinet tabled by Former Finance Minister, Plamen Oresharski, who was nominated for PM by the Bulgarian Socialist Party, BSP. Plamen Oresharski was elected PM by 120 votes "for" from 217 Members of the Parliament voting. The Parliament has a total of 240 Members. His election happened actually on the third trial as the first two misfired – after the first vote an MP from the formerly-ruling center-right Citizens for European Development of Bulgaria party GERB asked for a recount, while a technical glitch with another MP, saying she could not vote, made the second attempt flop. The GERB MP asked for the recount because some of his colleagues were in the hallways or moving about and could not vote. On the third count, all 97 MPs from GERB voted against, the 120 "for" came from BSP and the liberal ethnic Turkish party Movement for Rights and Freedoms. The MPs from the fourth parliamentary represented party, the far-right, nationalist Ataka, did not vote. After that, the MPs proceeded to vote for the structure of the new Cabinet, which was approved by 119 votes "for" and 98 "against." The "for" votes came once again from BSP and DPS, minus Oresharski's vote, as the rules postulate the Prime Minister-Elect cannot take part in the approval of his proposal. The 98 against belonged to GERB and 1 was from Ataka - from its leader, Volen Siderov. The vote came after hours-long heated debates in plenary hall, mutual accusations, and angry exchanges between key people from the above four political forces, which overcame the 4% threshold in the May 12 early general elections to win seats in the country's 42nd General Assembly.